Do you need NAATI certified Wollongong translation services ? You’ve come to the right place! OPAL Translation is Wollongong’s leading translation services provider. Our translation service is available for all languages. We provide the highest quality NAATI certified translations starting at only $69. Over the years, OPAL Translation has offered high-quality Wollongong translation services. Our team of skilled NAATI translators have years of experience and experts in their fields. Each translator is NAATI accredited, so whether you need a NAATI certified translation for your business or personal documents, OPAL Translation is here to help. Upload your documents using our online form and receive a free quote within 15 minutes. Depending on the document’s complexity, our NAATI Wollongong translation services have delivered certified translations within 2-3 business days. Do you need your translation sooner? 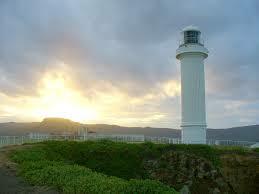 We provide Express and Instant Wollongong translation services to accommodate your needs. With our large team of qualified Wollongong NAATI Translators, we are ready to meet your requirements. OPAL Translation provides accurate, and error-free translations for Wollongong translation services by NAATI certified Wollongong translator at the lowest translation rates. Allow us to translate your documents and receive reliable and secure Wollongong translation services with fast turnaround time. Receive an exact quote today! Simply, complete our online form, and we will email you a detailed estimate within 15 minutes. Two European navigators, George Bass and Matthew Finders discovered the city in the late 18th century. Despite that, Wollongong was only inhabited in the early 19th century. 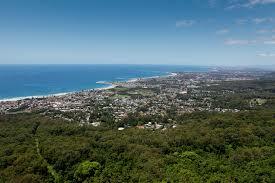 Wollongong is an oceanic city where people enjoy a cool breeze all year round. Temperatures range from 170C to 26 0C in winter and summer. The city offers a lot of activities to adventurers and travellers alike. These include boating, tree climbing, skydiving, and sliding. If you love art, you’ll love Wollongong with all its galleries and museums such as the Merrigong Theatre Company, Wollongong City Gallery and Bob Peet Studio. If the document that you require translated is a standard document such as a certificate, ID or a licence, we can provide a set price for the translation. All you need to do is send us scans of your document via our enquiry form and let us know how urgently you require the translation and we can provide a firm quote. Please see the below pricing below for indicative purposes only. If you you are a business or government organisation on the Wollongong and need other types of documents translated such as legal documents, marketing material or brochures, simply attach your documents on our enquiry form and we will gladly provide you with a quote for the translation.